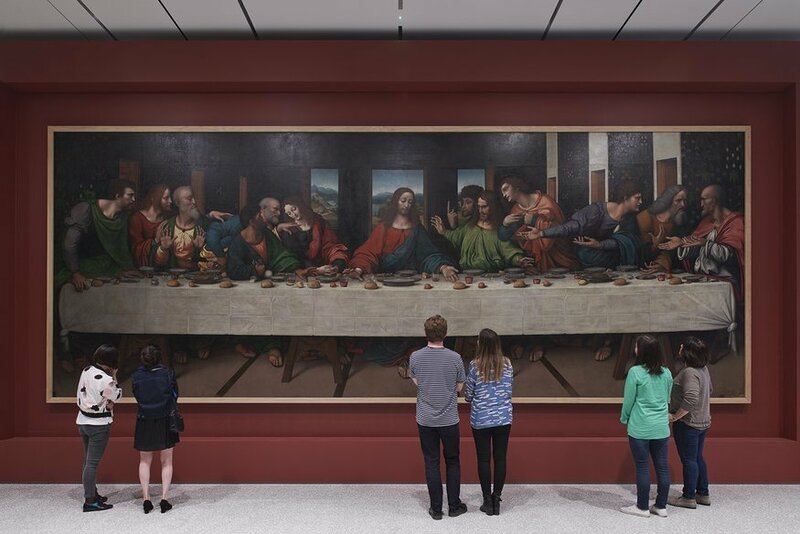 This copy of the Last Supper is one of our highlights of the permanent collection gallery. Copyright James Harris. We have a new Royal Academy of Arts (RA). Well, not exactly... but in its 250th year the building has had a major transformation, making it bigger, with more art to see and simpler to navigate. But what can one expect to find in the new RA? We've had a sneak peek before it opens to give you the inside scoop. Those who've entered the rear entrance before will find not much has changed at ground level but it's on the first floor where the good stuff lives. The rear entrance is suitably grand. Copyright Rory Mulvey. 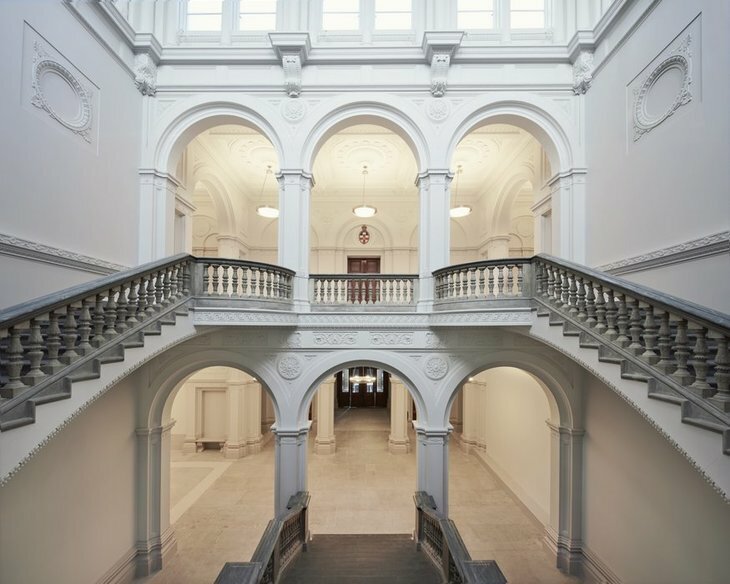 There's a new exhibitions gallery so the RA can now host three major exhibitions concurrently. The opening show is the work of Tacita Dean, who also has shows at National Portrait Gallery and The National Gallery. If you read our review, you know we hated those shows. While this is similar, the video work here is a little more stimulating. We still wouldn't recommend parting with hard earned money for it, but it's the best of the three. The revelation to get excited about is the Royal Academy finally has a place to show off its permanent collection. If you've ever wandered round the RA in the past and not been to see one of the ticketed exhibitions, then there wasn't much to see apart from a few sculptures. Great sculptures may be found in the vaults connecting the two sides of the RA. Copyright James Harris. Now that is no longer the case, with a curated selection of works including a massive copy of Leonardo da Vinci's Last Supper. Yes it may not be the original but its presence is awe-inspiring. Across from it are copies of paintings by Raphael — it's apt to have copies by these Renaissance masters on show, as they inspired many of founding members of the RA. There's lots of nods to the history of the RA with works by many of the founding members on display. 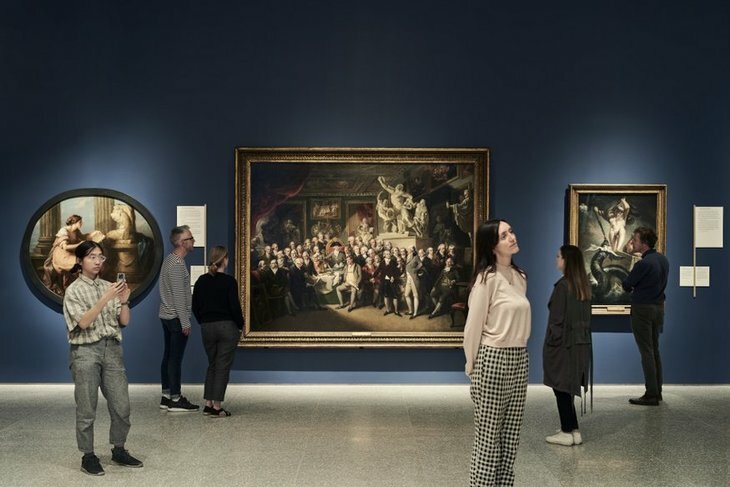 This includes a romantic landscape by Joshua Reynolds the first president of the RA, a selection of little landscapes by John Constable and a portrait by Angelica Kaufman one of the female founding members. There's a new airy lecture theatre to host talks. Copyright Simon Menges. 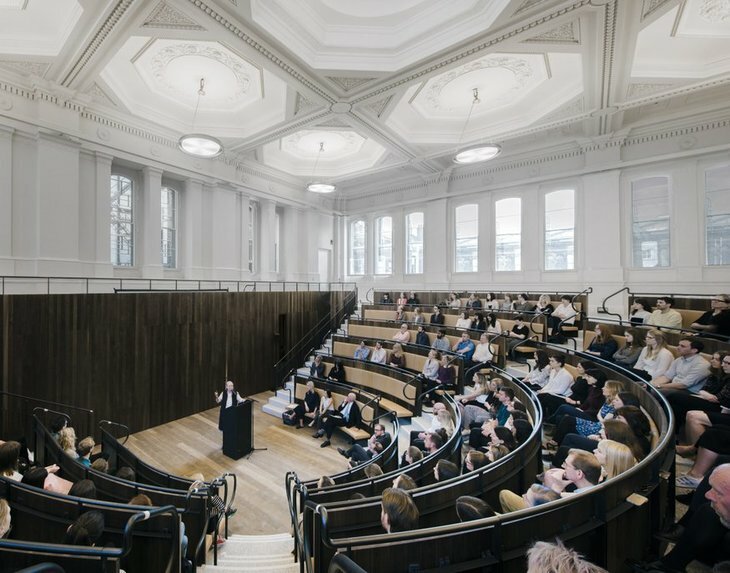 Other improvements include a nice airy lecture theatre with large windows for allowing lots of natural light in, and now the front and back of the RA are connected — no more having to exit one side and walking through the posh shops in Burlington Arcade to get into the other. One of these connecting routes is through the vaults filled with fantastic classical sculptures and it also takes you past the schools. The schools have always felt tucked away at the bottom of the building, and it's nice to see them naturally integrated into the rest of the RA. A painting of Royal Academicians is also present — how apt. Copyright Rory Mulvey. We're big fans of the new look and it's a nice bit of a cosmetic surgery for this 250 year old institution, which positively doesn't look a day over 150. 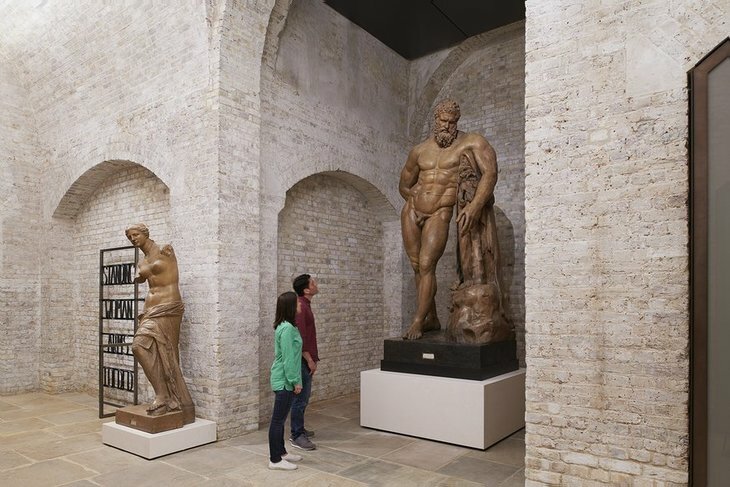 The New RA opens on 19 May and is free to visit, there will be a weekend long party to mark the opening. Tacita Dean: Landscape is on from 19 May to 12 August and tickets are £14.